Talk about a game with tons of components, this is the mother load. After you punch what seems to be an endless amount of cardboard, the real fun begins. I am really enjoying this game and it will have a place in my permanent rotation. The worker placement strategy game has a lot of thinking mechanics and will only let you sharpen your skills as time goes on to learn new strategies. Castles of Burgundy is probably my favorite game at the moment. I love how it blends together tactical play (what do I do each turn with my dice?) with long-term planning (should I go for farms or buildings? what about a shipping strategy?). There's some luck involved with the dice, but you can always change a dice roll with workers, so you almost always feel like you have something useful to do. The game scales well from two to four players, and it's not too difficult to teach to someone who has patience and a little bit of experience playing strategy games. My only complaint is the components. The player mats are made out of a cardstock/poster board that's quite thin -- I would have preferred a much nicer, thicker cardboard. The pieces are also a bit cheap-looking, but there's a lot of them, and I understand why they did this to keep costs down. It's not the best looking of games, but there's so much value here in terms of gameplay that it doesn't really matter to me. Highly recommended! There is a lot of game in the box. By that I mean both that there are a lot of cardboard chips to sort and there are plenty of hours of replay to discover better/different strategies. I found the rulebook to be somewhat confusing and poorly laid out, however you can find excellent rules overviews on YouTube. Overall, the price you'll pay for this game is well worth it and while I have enjoyed every game of it that I've played, I haven't found it out of my game cupboard nearly as much as I'd hoped. This is a really solid game and plays very well with 2 players...some may say it plays best with 2. The negative I have is all the small pieces and sorting them out and setting them out each round, then the corresponding take down and sorting things(if you like to keep things sorted). Not only is this setup and takedown a PITA, it might scare off some casual gamers...I know it does with my wife..she'll freak anytime a game has a ton of parts and pieces before even trying the game. Aside from that, the choices you have in this game are really great and the ability mitigate your die rolls is great...easy to play but plenty of things to do, or think about, on each turn. As far as games that require you to roll dice to determine your available actions this is probably my favorite. I particularly like that since you are rolling dice to determine your actions you only have to focus on small portions of the board at a time, so there is less analysis paralysis. I also really like that there is a plethora of available ways to modify your dice rolls, so you never really feel like you just got screwed by the dice. 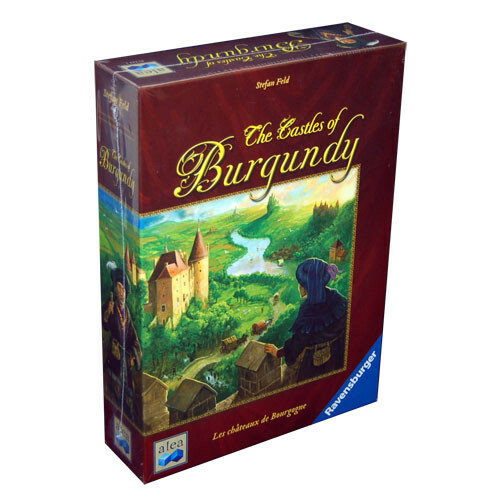 Many of Stefan Feld's games are known for their "point-salad" approach to scoring and Castles of Burgundy is no exception. Scores tend to run high and there's a lot to keep track of. That being said, C.o.B. 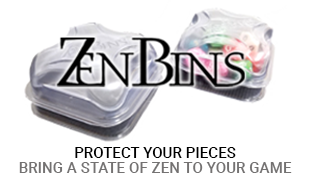 oozes simplicity, elegance, and balance, making it relatively beginner-friendly. Although the game involves dice, there is a very low degree of randomness, with every possible roll outcome translating into viable (and usually desirable) actions; the challenge comes in when selecting optimal actions for long-term scoring from among many seemingly excellent possibilities almost every turn. It's no accident that this game appears on many top-10 lists. If you're going to own only one Feld game, you can't go wrong with C.o.B., which is conveniently not only a great game but also a great bargain for what it costs. Settle out your lands, build your towns, develop new technology, ship goods. 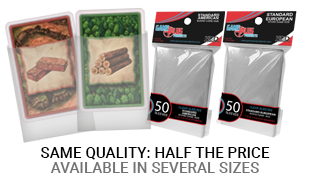 This simple Die Placement games allows you to take buy tiles, to build up your Castle Estate, Castles let you play an extra turn, Animals give you compounding points, Buildings allow for extra actions, and technology give you the ability to get more points or mitigate your die rolls. The games scales really well from two to four players keeping the game balanced really well. The game itself is easy to teach and I constantly find myself teaching people what to do only to have them destroy me incredibly quickly. Tons of reputability with randomness of the tiles to asymmetric plots of land making your decisions very different. This game is a masterwork. SO easy to teach and play, but SO many decisions. You can play to get tons of in-game points by completing regions, using farm animals or trading goods, or gather up end game point tiles and watch your opponents' jaws drop as you add up the points at the end of the game! Either way, this is a fantastic game...especially 2 player! A very enjoyable game with lots of strategy. Gameplay involves building up an estate of your own using tiles with buildings, animals, or bonuses on them which scores victory points. Games don't take long to play and replayability is infinite.